In our world today, there are so many pressures and struggles that youth face during their years of preparing for adulthood. There are special places for troubled youth where they can seek help and treatment for difficult situations that seem to have gotten out of hand. 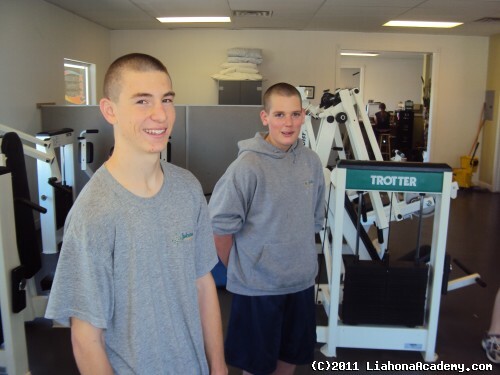 A highly recommended place where troubled youth can find hope and help for their personal issues is a residential treatment center, Liahona Academy. We have helped troubled youth and their families recover from the hurt that comes with deep personal issues in troubled youth. Liahona Academy is confident that we can assist your family to the best of our ability. Call us at 1-800-675-8101 and find help for your troubled child. Rebellion is normal during the teenage years, but only to an extent. When teens begin showing destructive behaviors and actions, it is time to start considering treatment options. Thousands of families from all over suffer from the effects of personal issues in their troubled teen. As the parent of a troubled youth, it is important to carefully assess your child’s situation and properly research rehabilitation facilities to match the right one to your child’s needs. Each place offers different benefits and helps a wide range of troubled youth. Some of these places include boarding schools, military schools, private or group therapy sessions, residential treatment centers, wilderness programs, and boot camps. Residential treatment centers are highly recommended because they remove troubled youth from the main issue that triggers their personality changes and allows them to have a more open mind to positive change. Another great benefit of residential treatment centers is the variety of therapeutic programs offered to troubled youth. These programs help teens that struggle with emotional issues, substance abuse and addiction, academic issues, behavioral issues, mental health issues, and family and adoption issues. They also offer many different learning opportunities that help teens academically and individually grow. Troubled youth have the ability to engage in these programs and develop excellent life skills that will carry in them for the rest of their lives and can ultimately help them resist the chance of relapse. Liahona Academy is a residential treatment center that can offer all of the benefits talked about above. Teens who have engaged in our therapeutic programs have found that they are in the right place to fit all of their needs and assist them in overcoming their personal struggles. We have mended families of troubled youth by teaching them more healthy ways to deal with conflict or difficult situations, which has developed better communication amongst parents, teens, and other family members. If you feel that your troubled youth is in need of this treatment, call Liahona Academy at 1-800-675-8101 and speak with our admissions office.